The “Blog” of “Unnecessary” Quotation Marks: What a deal! I think this is an accurate use of quotation marks, but it's still funny. Thanks Susan. 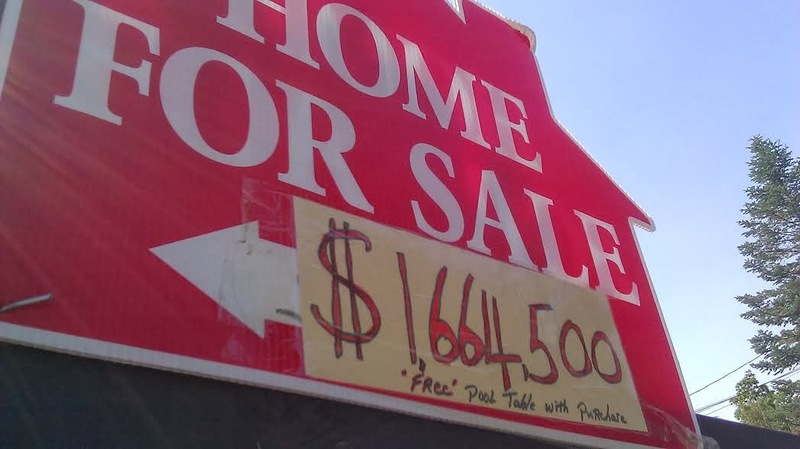 Despite owning a $1.6M house, the owners seem pretty stingy though, skimping on a sign instead of getting it professionally made.